First off, let me say, this project turned out way cooler than I had imagined in my head. Sometimes we complete a project and we impress ourselves with the results, this is one of those projects. 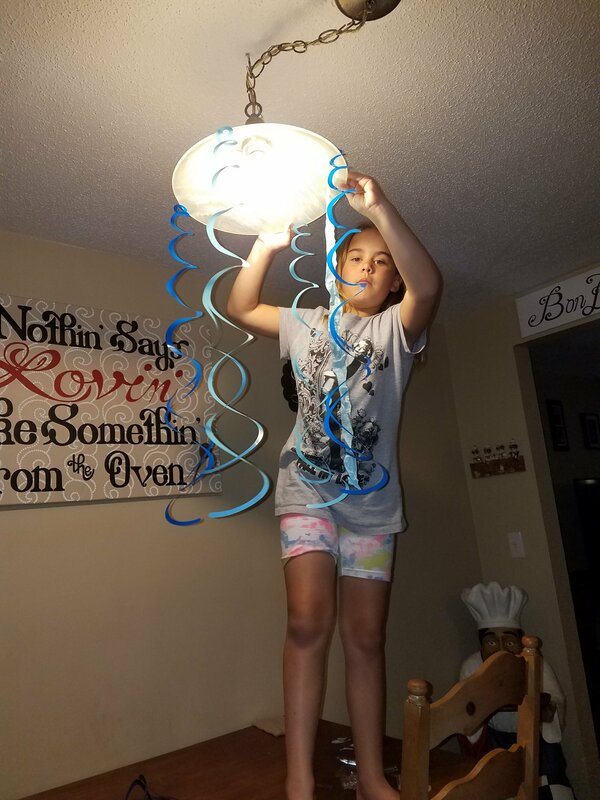 When I presented this project to my daughter, initially she was unsure about just how it would turn out, but she knew she wanted to be a part of it. 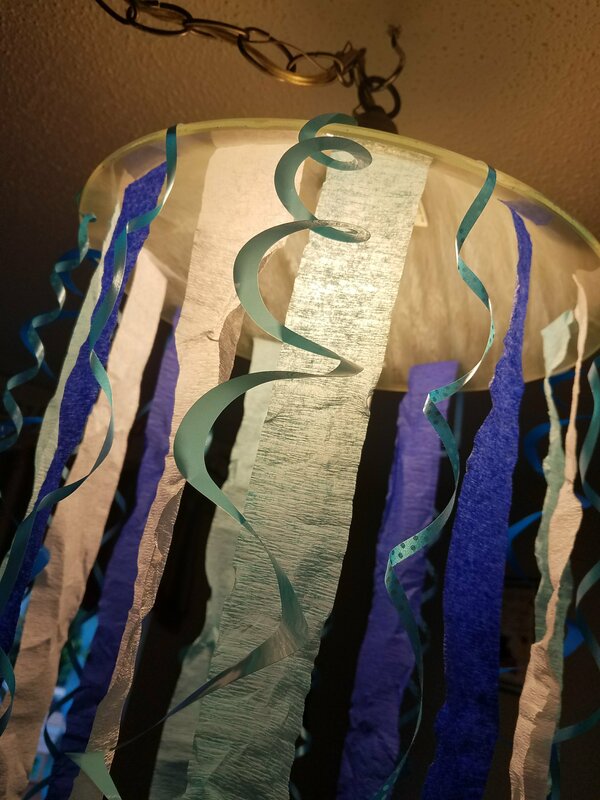 As I was looking around my house for the things in my home I could use to turn into something magical, I glanced up and saw the shape of the lamp was the perfect shape for a jellyfish. 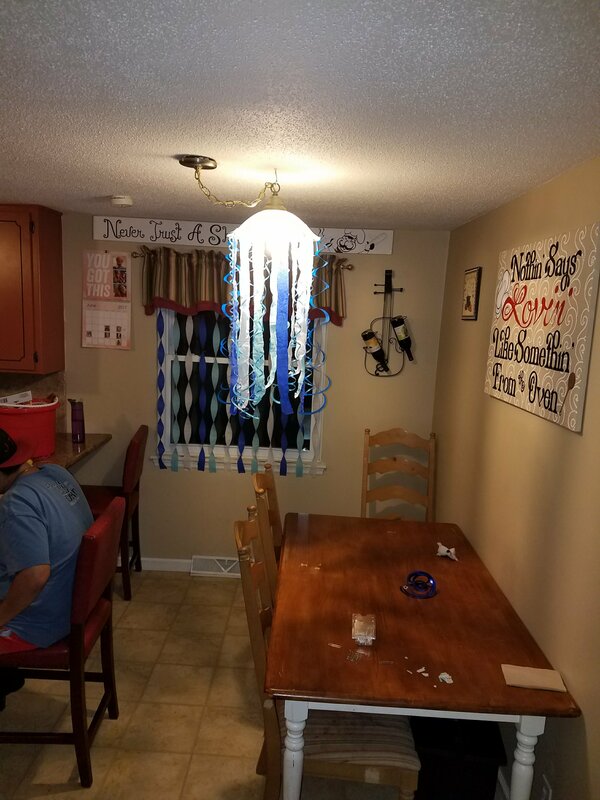 The fact that this jellyfish would hang over the food table is just that much more incentive to do it. As you can see, I moved the lamp over so that it would hang directly over the table for the party. We attached swirls, ribbon (curled with scissors) and streamers. I wanted it to look full so we used all different lengths and colors to create the look we were going for. IAs you can tell, it truly did look like a jellyfish. I stood there turning the light on, and turning it off, but I felt like something was missing from it. I went to the store and purchased a blue lightbulb. I knew that this would give off the ambiance that I was trying to portray. I could not have been happier with the results. 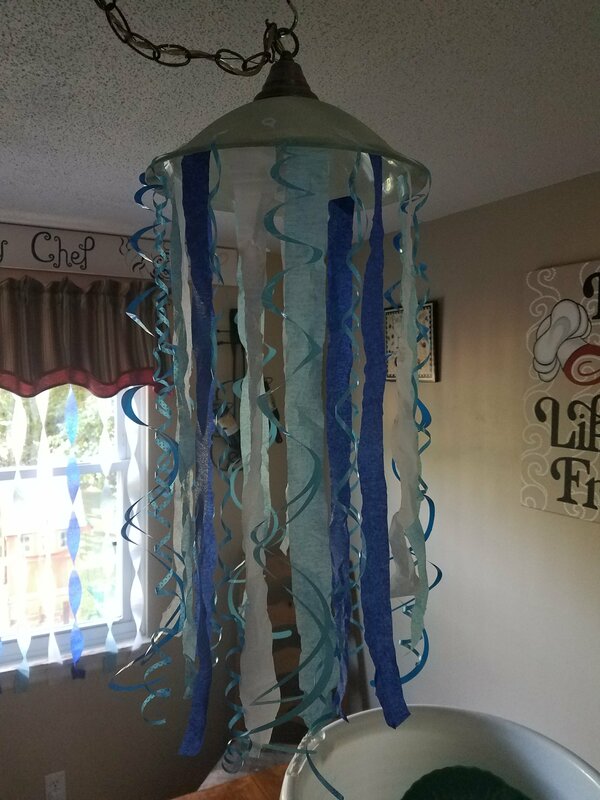 Below you will see a picture of the jellyfish alone with the blue light and then how it looked once all the decorations were up. The movement created by the fan on the other side of the room just made it pop that much more. I would love to know what you think about this project in the comments below. If you decide to try this project, please link your picture below. I love looking at what others can create when a seed is planted!